Returning from a vacation is never an easy task, especially when that vacation is at a Disney Resort. After a week of walking near double-digit miles everyday, most travelers are even more exhausted than when they left. Of course, there’s the usual “I don’t want to go back to work/school” mood that sets in. That kind of goes along with every vacation. While the exhaustion and return to everyday life are prevalent the post-vacation blues, for me, derives from one feeling. I’m usually settling in for the evening and the thought, “I wish I had just had a little more time for _____ (fill in the blank)” comes into my mind. Some would call that regret but I think that’s too strong of a word for vacations. I’m typically happy with how I spend my time at the Disney Parks (and other destinations). I’m just not happy when that time ends. This post was initially titled “Stuff I always wish I would do more of at the Disney Parks.” I thought the current title was a little more eloquent and less confusing. But, this post is simply a list of Disney experiences that I miss when I’m at home. Think of this as a sequel or extension of an earlier post on the blog called Favorite Disney Stuff. Maybe you can learn from me and devote a little extra time to these experiences while on your vacation. This is in no particular order. As I was making this list, I was surprised by how few attractions came to mind. Most of what I miss is simply different atmospheres. World Showcase still tops those lists of atmospheres. 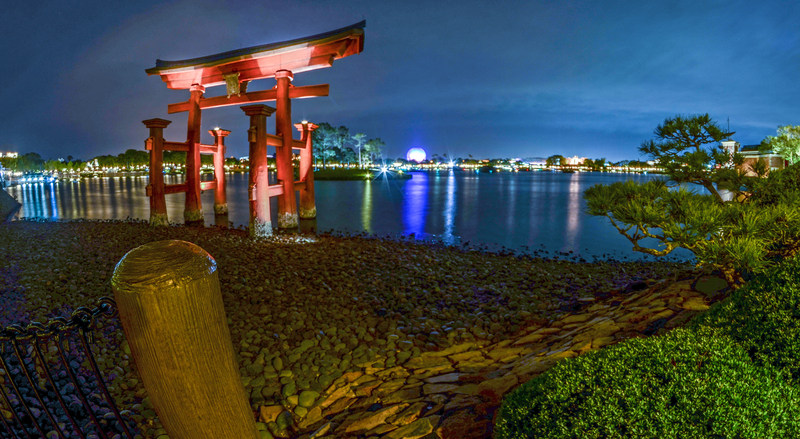 I love where I live and wouldn’t trade it for many places but I often think about being local to Disney World and how great it would be to stop by World Showcase once a week, grab a bite to eat and then just walk around the lagoon until an hour after park closing. The atmosphere around World Showcase is hard to describe. The best analogy I can come up with is that it’s similar to a sporting event without the cheering. Everyone is brought together to experience unity and eventually watch something (Illuminations) before heading their separate ways. While all of the parks bring people together, none bring quite the vibe that World Showcase has once the sun sets and the torches are lit. I always promise myself that I’ll spend more time there when on vacation but it’s never enough. It’s a feeling I crave almost weekly and the one I miss the most when I’m not there. As I’ve already said, there are few rides on this list but it should come as no surprise that Pirates is one of them. One of the crowning achievements of Imagineering, Pirates of the Caribbean is relaxing and mesmerizing. While thinking of topics for the blog my mind often wanders to certain experiences in the parks. I can play out Pirates scene-by-scene in my head but can’t capture the incredible detail that the actual ride showcases. Vehicles to which to tell stories always has fascinated me whether it be songs, books, vocally, or theme park attractions. Pirates in Disneyland is one of the most interesting and thought out bits of storytelling in theme park history. Because of that, I always miss the ride, that musty water smell and waterfalls that signify going back in time. Usually I’m pretty calm at Disney Parks. I typically have a plan or am just happy to wander around. This is true at nearly everywhere except Animal Kingdom at night. 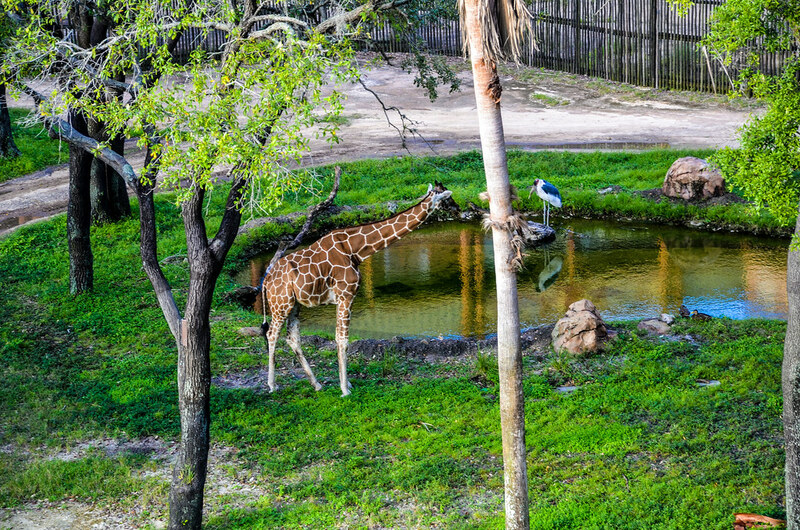 Maybe it’s because I’d never experienced this until the last two years but once the sun sets at Animal Kingdom I’m pulling myself four different ways. That’s what my mind does and I can never complete all of that. I’m lucky if I complete 2 of those things in a night. 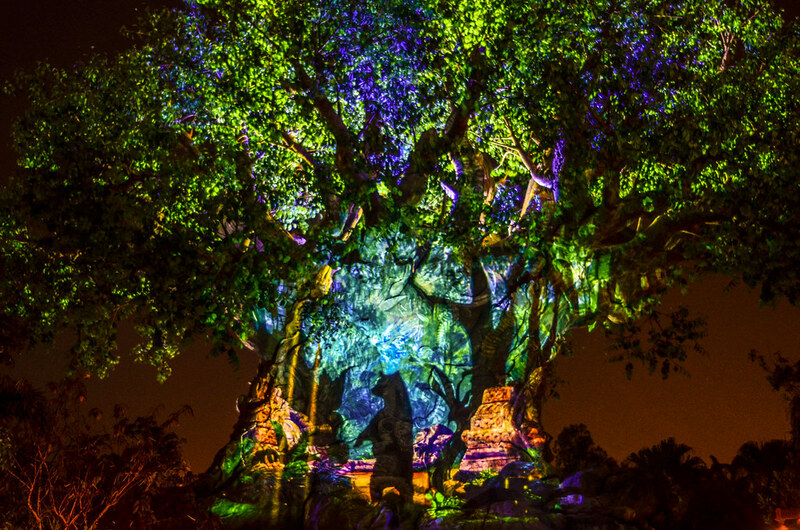 There is simply not enough time at Animal Kingdom at night and I always wish I had more. I’m not a good shopper. There are other things I’d rather be doing so I can’t usually get my head into it. With that said, every trip to Disney World I plan on spending more time at Disney Springs. Then after every trip to Disney World I think, “Dang it, we should have spent more time at Disney Springs.” I think this area has come along nicely and is a great place to spend an afternoon/evening. The dining scene is great now and there are enough stores to appease most shoppers tastes. I’m excited to see how Disney Springs evolves and will hopefully spend some actual time in it soon. I don’t actually miss Disney Springs when I’m not there, I just wish I had more time to enjoy it. Honestly, all of Tokyo DisneySea could make this list. The world’s best theme park is home to four of my favorite lands (the remaining three are excellent, as well). Why Arabian Coast instead of American Waterfront then? This simply comes down to location. Arabian Coast is less convenient to get to then Mysterious Island, American Waterfront and Mediterranean Harbor. Once I’m in Arabian Coast, it’s easy to remember how incredible the land is. 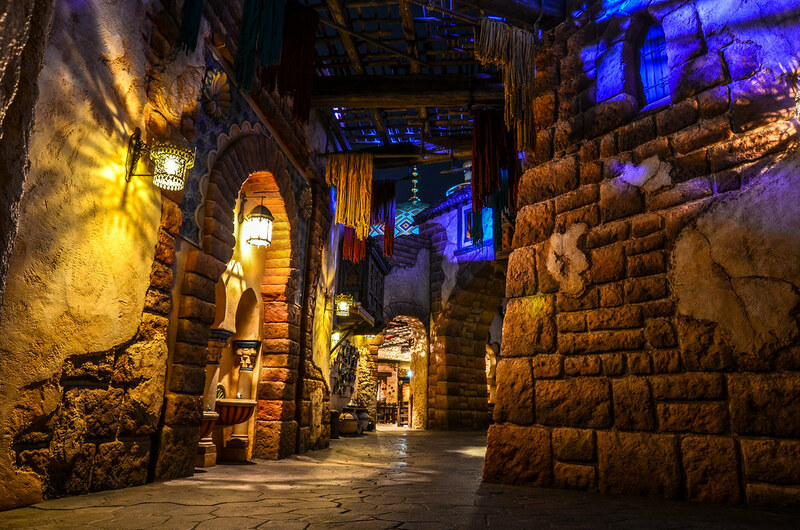 There is so much depth here, from the courtyard that serves as the land’s entrance to the marketplace alleys that serve as a bridge to the amazing Sinbad’s Storybook Voyage. The land is full of excellent attractions, enveloping atmosphere, and great food. I always leave the park feeling as if I had barely scratched the surface of Arabian Coast. I’m pulling out a two-fer here as these lands both offer atmospheres that I want to linger in. Cars Land is the obvious one. The Cadillac Mountains set the scene and this kitschy, little town just jumps out at you. While the neon is stunning at night, the atmosphere doesn’t fall off much during the day. I’d guess that a quarter of my time in California Adventure is just hanging out in Cars Land and even that’s not enough. Grizzly Peak is a little more of a hidden gem. While the area around Soarin’ gets crowded, the path from Grizzly River Run to Paradise Pier (or whatever they call it now) is quiet, shaded and lovely. 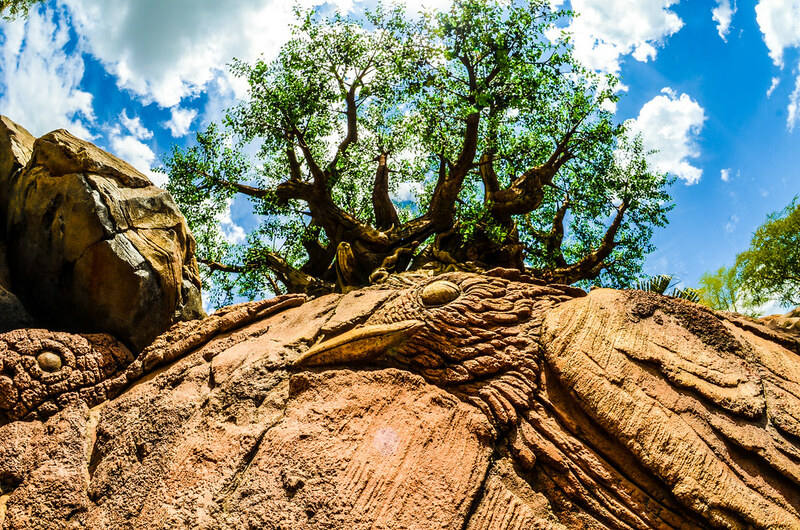 The trees around give off the feeling of a national park even with the bustling Cars Land a stones throw away. 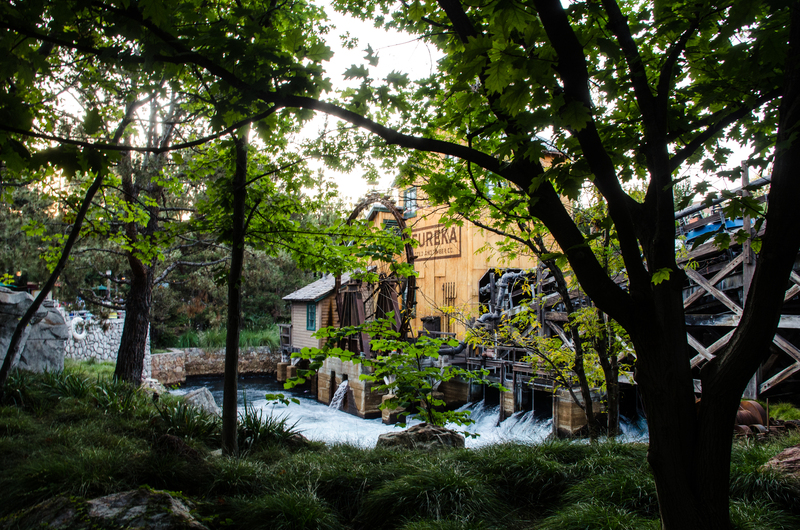 I love the back trails around Grizzly River Run, especially on a hot summer day. Redwood Creek Challenge Trail is a fun area at Grizzly Peak, as well. I’m not a morning person but I’ll admit that Main Street and Fantasyland each have a special aura to them in the morning. The air is fresh and Main Street feels like a town that woke up with you. 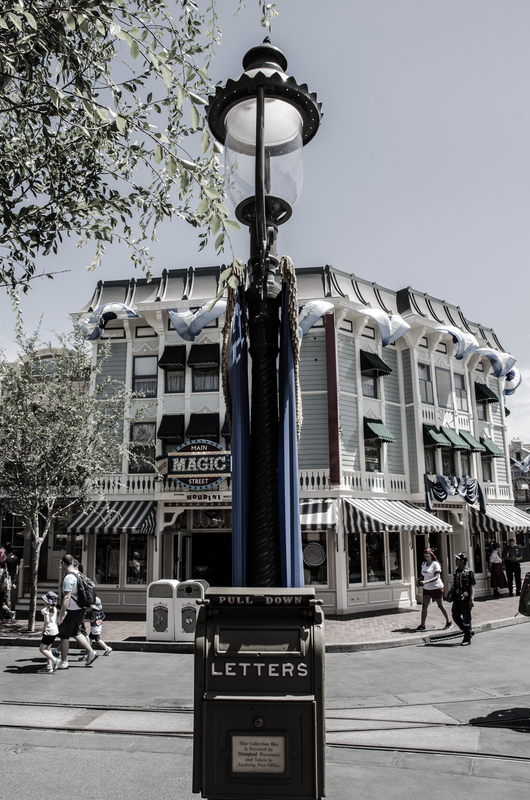 All of the Main Street Vehicles are generally out and there is usually some entertainment going on. Fantasyland is largely the same feeling, just a bit more whimsical. When I wake up for work in the morning, I often wish that it was just to go soak in the sights, sounds and smells of early morning Main Street and Fantasyland. 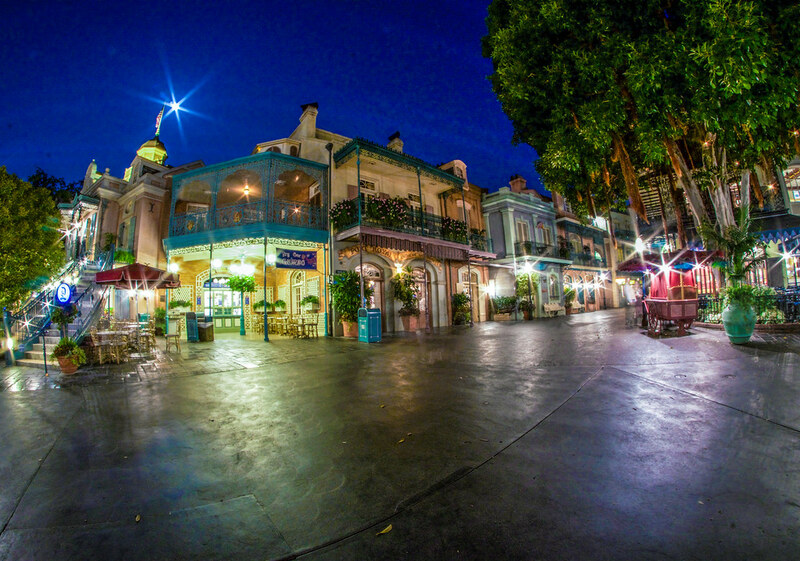 Like World Showcase, New Orleans Square is a place I’d just come and hang out if I was a local. 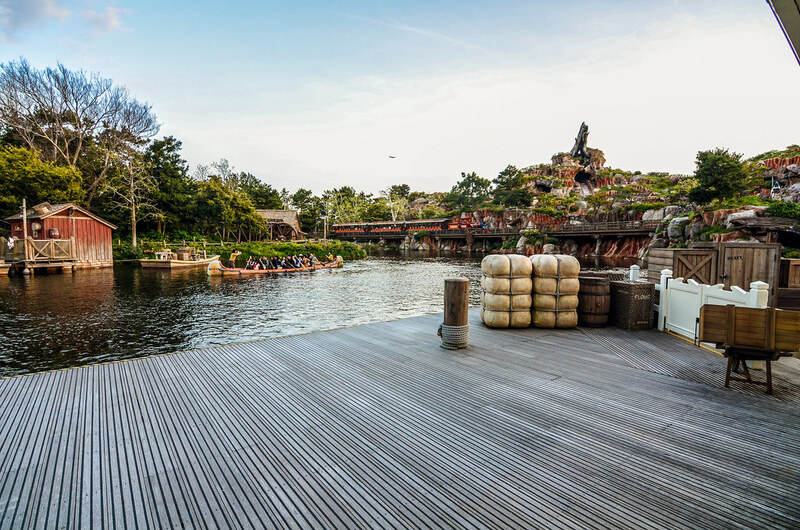 The land offers the best food in the park, has live entertainment and wonderful views of the river. Pirates of the Caribbean and Haunted Mansion reside here. There is nothing to dislike about New Orleans Square. 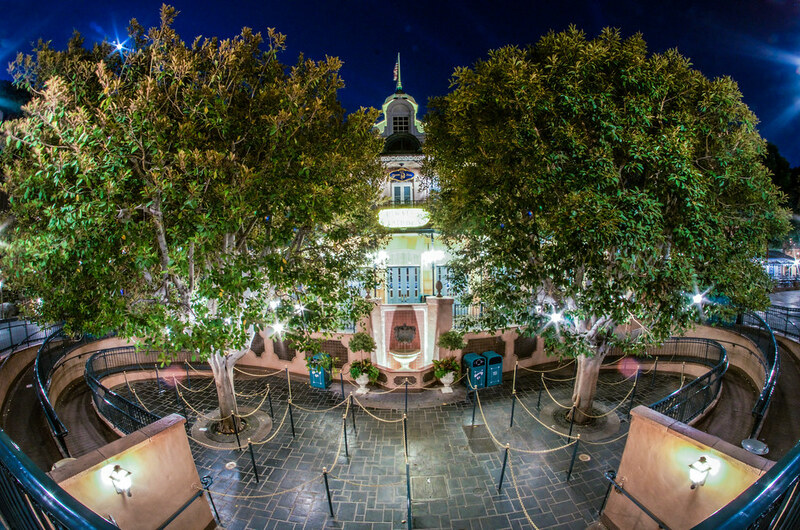 The area is inviting with the different pastel-colored facades and the light features at night are stunning. Another area that is just a place that I always want to spend more time in. This is a go-with-me-here type of answer. Tokyo Disneyland is my favorite castle park in the world for a number of reasons, namely an impressive attraction lineup, unique atmosphere, and top-notch shows and parades. One of the smaller aspects of the park that I thoroughly enjoy is the openness of the park. Westernland specifically feels far different than the American equivalent (Frontierland) because there are fewer fences barriers. This makes for wonderful sight lines and a sense of exploration that I don’t always feel in the American castle parks. I always wish that I had more time to go explore these little open areas and take photos there. I could see Happily Ever After, Fantasmic!, Illuminations, World of Color and all the other nighttime spectaculars a thousand times and I’d still wish I had time to see them again. These shows are what drew me in to being a Disney Park fan in the first place and I can never get enough of them. I’ve seen plenty of shows with more pyro but not many combine the storytelling, nostalgia, and pyro like Disney does. I’ve added in Tokyo Disneyland parades here as I think they have served the same purpose for me as nighttime spectaculars initially did. Parades have never been my thing but our trip to Tokyo changed that, as the Dreaming Up! and Dreamlights really captured my imagination and drew me in. That’s my list so far, but I’m sure I’ll think of more to add! 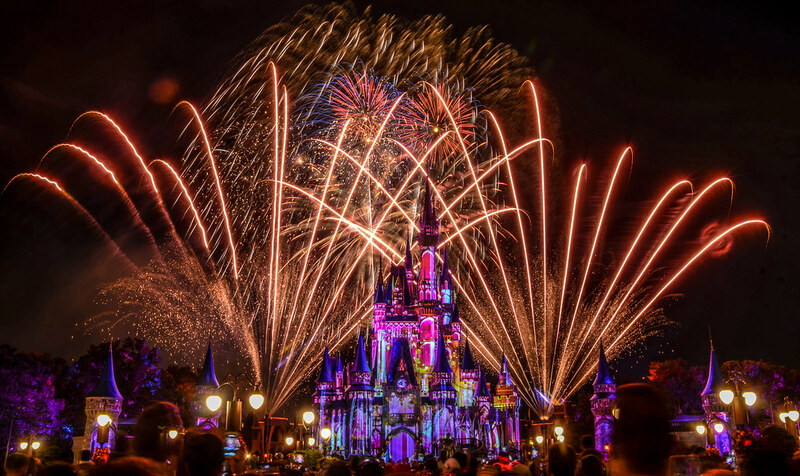 What do you always wish you had more time to do at Disney Parks? Let us know in the comments! Thank you for reading Wandering in Disney. If you like what you’re reading then please follow us on social media and subscribe to the blog. You can do both of those things on the right side of this page. Have a great day! Should You Go To Hollywood Studios In 2019? 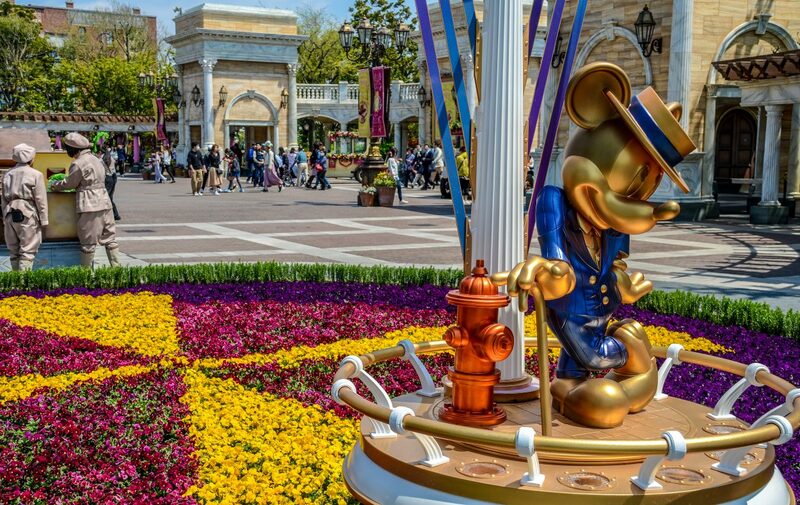 What Does A Tokyo Disney Resort Vacation Cost? How Many Days At Each Disney Park? Wandering In Disney is a fan site and is in no way affiliated with the Disney company. All views and opinions expressed are solely those of our authors. If you are interested in using a photo from our website, go for it! All we ask is that you cite our work. Thank you!